In its continuing efforts to provide its residents with quality police services, the Chesterfield Township Police Department is pleased to announce that the department offers free home safety inspections for its residents. A Chesterfield Township police officer will come to your home and conduct an on-site security inspection of the exterior and interior of your residence. The inspections normally last approximately 45 minutes to an hour. You will receive a written evaluation checklist of the improvements you can make to increase the security of your home. You will be advised on the most effective locks, alarm systems, and lights, as well as other areas specific to your home and area. 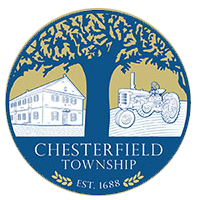 This service is provided free of charge to Chesterfield Township Residents. Home Security Inspections are done on an appointment only basis and township residents are encouraged to contact the Chesterfield Township Police Department to set up an appointment. You can schedule an appointment by calling Sgt. Stefani @ 609-291-0912 ext 204 or emailing the department here.